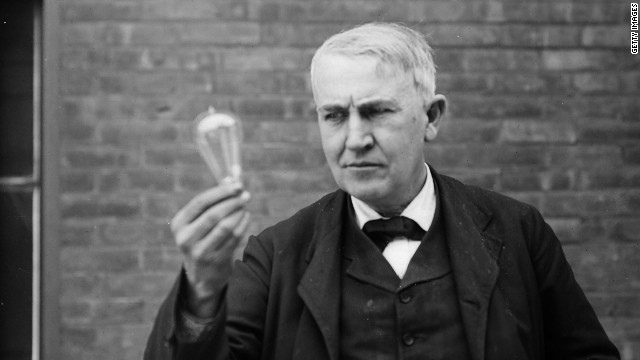 American inventor and entrepreneur, Edison developed many inventions which changed life around the world. Most notably, Edison gave the world the phonograph, allowing music to be owned and played anywhere with ease; the motion picture camera, which gave us the motion picture industry; and his long-lasting practical lightbulb, which serves as the model for our beloved incandescent lightbulbs. Emerging from a job as a telegraph operator, Edison’s inventions all rapidly transformed the world. Electric light and power, motion pictures, and music recording all grew into massive industries and changed the way people experienced life. Edison also transformed telecommunications with such inventions as the stock market ticker. A great mind, Edison gave the world many gifts and is one of the most influential people to ever live.